This is a personal blog. All editorial content and projects are intellectual property of ashleyhortondesigns.com. 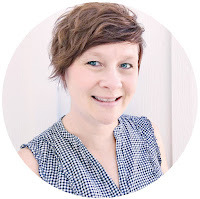 I do receive compensation and material product from A Flair for Buttons and American Crafts to develop my craft posts, but all ideas and opinions are my own. I love using a new trend, and Nordic patterns have been popping up this Christmas season! 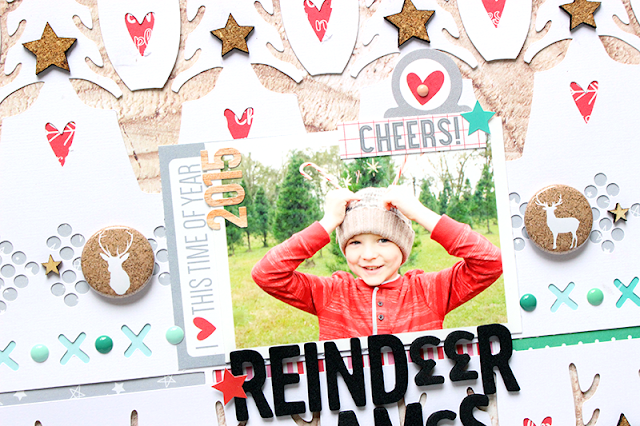 I was originally inspired by a cut file created by the talented Paige Evans, that has a Nordic pattern. 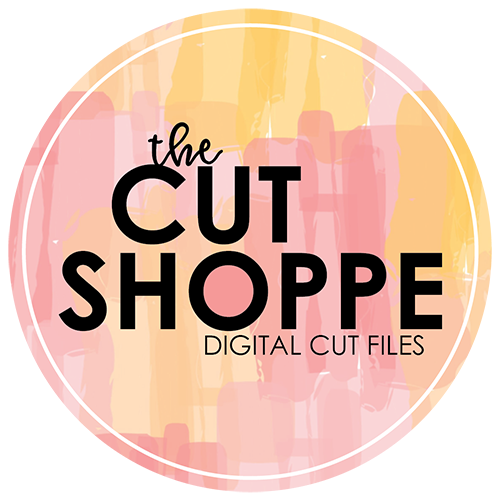 I used a couple of cut files from the Silhouette store to create a background for my layout, that went along with the theme of my photo, title and the Flair Buttons from A Flair for Buttons I chose for the page. 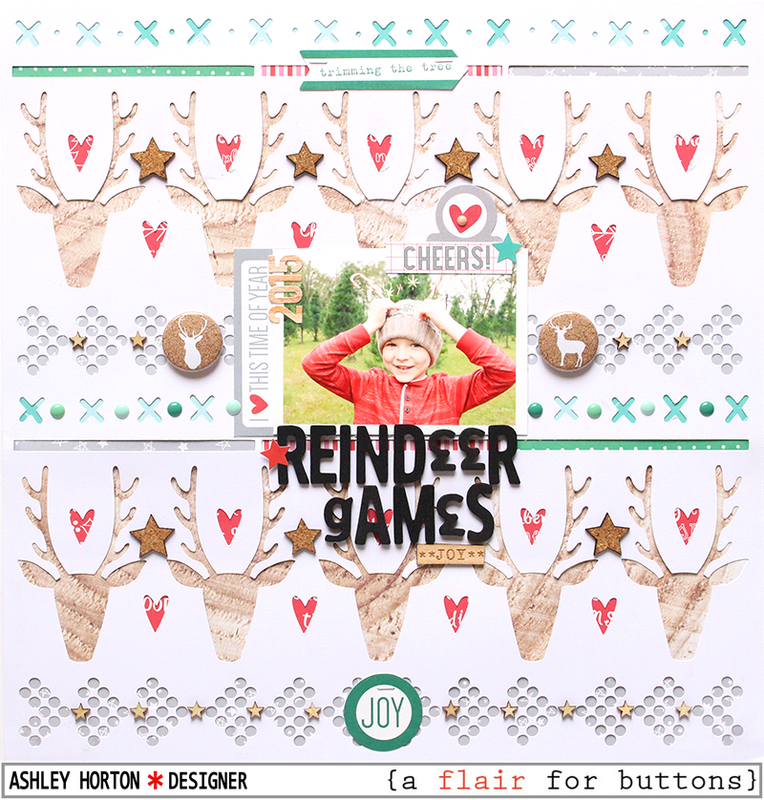 I wanted to use the two reindeer Flair Buttons from the Cork Christmas Flair set, to go with the title I planned to use on the layout. I used a wood grain paper from the Elle's Studio Good Cheer collection to back the die cut reindeer, so I knew the cork finish from the Flair Buttons would coordinate well with it. I placed the two Flair Buttons on the sides of my photo, so they would be more prominent against the busier background. I added my title below the photo, with some Black Thickers. And you might notice, not all of the letters are the same! I always run out of the letter "E" so few number 3's turned upside down made a great substitute. I finished the layout by adding some cork and wood veneer stars to pick up that neutral look from the Cork Christmas Flair. You can visit the A Flair for Buttons Etsy store, to pick up the Cork Christmas Flair set. And guess what??!! There are even some Nordic inspired Flair sets now available in the Shop. Make sure you check out the Nordic 1 and Nordic 2 Flair sets while you're there! 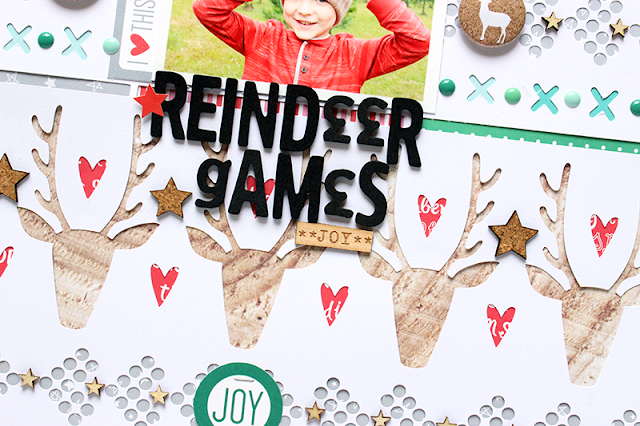 They will look great on your holiday layouts!